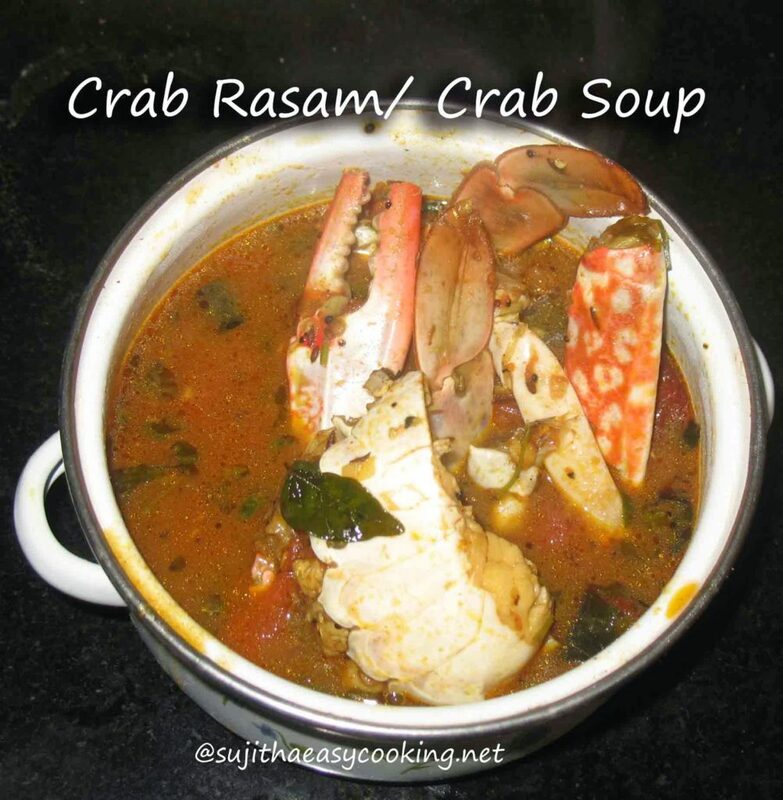 And now it happens… This Hot Soup/ Rasam will perfect to pipe on a rainy day.. isn’t.. i tried it.. this goes yummy with Hot steamed rice too… Crab has the Ability to reduce the toxins.. Good medicinal valued seafood.. i loved this a lot..
* Heat the kadai with oil, Add the tempering items. * Add in the crushed pepper Jeera powder. 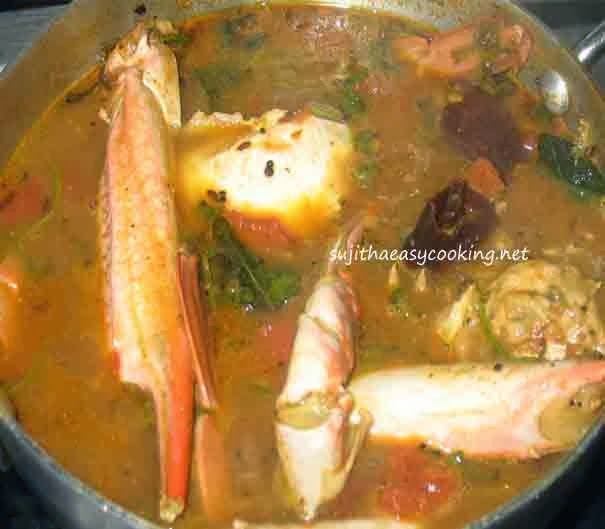 * Add the Ginger Garlic paste..
* Then Add the Tomatoes cook till they mushed up..
* Add all Spice powders and cook them till the raw smell goes..
* Add In the Hing..
* Extract the tamarind juice..
* Add the cleaned crab..
* Cook them till they done..
* Adding the Chicken Masala and Graham masala removes the crab smell and gives the soupy flavor..
Dont you like to pipe this rasam….??? Wow ! deicious rasam, good for cold.